Connect to our Chamber website here! Hull is home to many thriving businesses. Find a full listing of business names here, and check out our Chamber of Commerce Business page for more information on many of the businesses, including contact information, a location map and more! Connect to the Hull Chamber of Commerce business page here! Sales & Service of overhead doors. Situated amidst fertile farmland, Hull is a picture of small-town life. 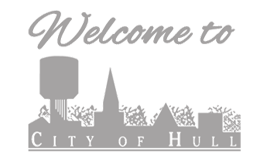 Visitors soon learn that the people of Hull are energetic, caring and concerned about their community and that they often volunteer their time and resources for the good of the community. Within the city are active churches, excellent public and private schools, vibrant businesses operated by friendly and caring business people, and great recreational facilities including a golf course, parks, and much more! Check out Hull Job Postings! Click to be redirected to the Hull Chamber website Job Opportunities Page. Click Here.